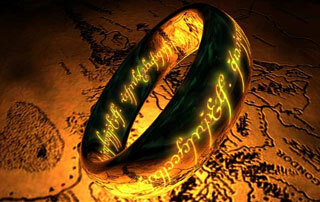 Turbine has passed responsibility for Lord of the Rings Online and Dungeons and Dragons Online to a new indie studio. It's no secret that Turbine has been moving towards becoming a studio focused on mobile development. It's been laying off staff since back in July in preparation for the shift in focus. Yesterday, the developer took another big step in that direction, as it announced that it has handed off all responsibility for its two biggest MMOs to a new studio. Lord of the Rings Online and Dungeons and Dragons Online will no longer be managed by Turbine. Instead, a newly formed independent developer, Standing Stone Games, will take over development on both titles. The Standing Stone Games staff includes a number of people who previously worked on both titles. LotRO executive producer Rob Ciccolini is apparently part of the Standing Stones team, as he posted about the news on the game's official website, saying that, "Our development continues on track, and the plans we have already announced remain firmly in our future view. Again, although we are a new studio, we are also the same developers who have been and will continue to work on our games." Daybreak Games will provide global publishing services to the new studio for both games. If you want to get more information on just what this transition means for both games, you can find more information in the Transition FAQ. This link takes you to the LotRO website, but the same FAQ is posted for both games. The most important thing to note is that the licenses for both properties have always been transferred "without issue," so that should pose no issues for the games going forward. We'll have to wait and see how these two MMOs weather the changes, but if this means that development continues apace on both titles, it's good news for fans who were worried that Turbine's move to mobile could signal the end. Hopefully the new studio can loosen the restrictions on the game. When DDO and LotRO converted it was something of a gamble for western markets, and the content strangulation is INTENSE because they thought nobody would pay in a F2P system. I played DDO for maybe 3 years after they converted to F2P and spent about $200 on it. Not as much as a full subscription but more than the 0 they would have gotten if they stayed P2P. I thought they did a pretty reasonable job translating 3rd edition into a computer gaming environment. Unfortunately they chose an art style that really didn't age well. Hopefuflly the devs can try some really new innovations to bring back old players. Nobody SHOULD pay in a F2P system. People need to stop propping up what is screwing up the entire industry.